There is nothing like pictures to better describe DMC’s work. 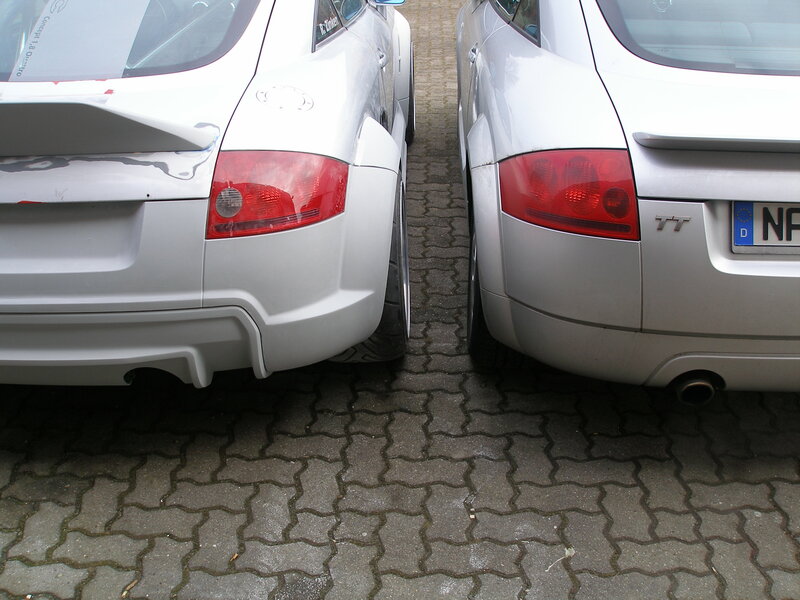 DMC must be the only tuner to still create body parts for the MK1 TT. 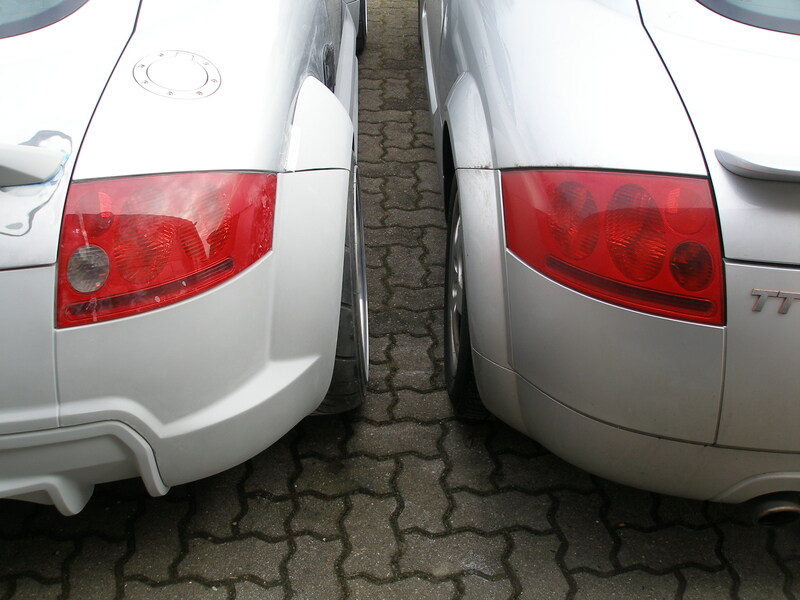 Danke DMC, you haven’t let us down! 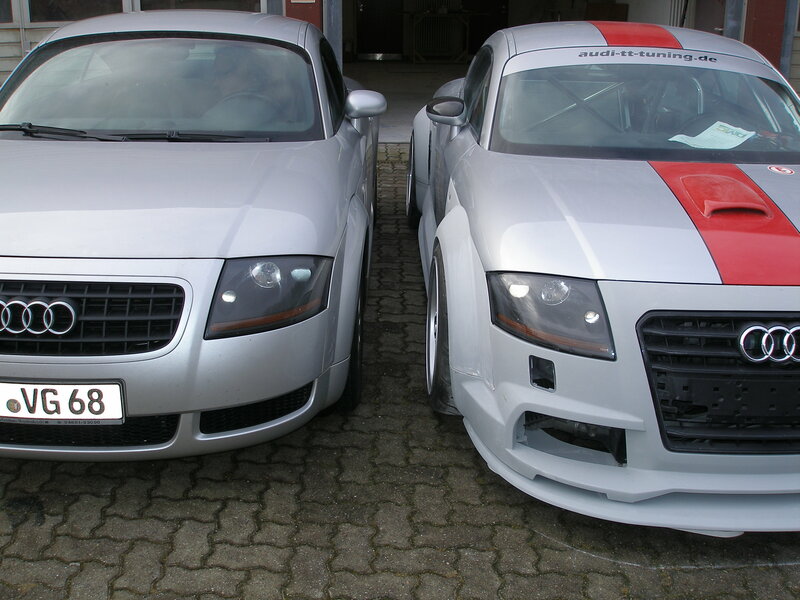 Now the question is, once this car has a new paint sheme, will it be to everyone’s taste? I had fun tonight with photoshop and made several color shemes. 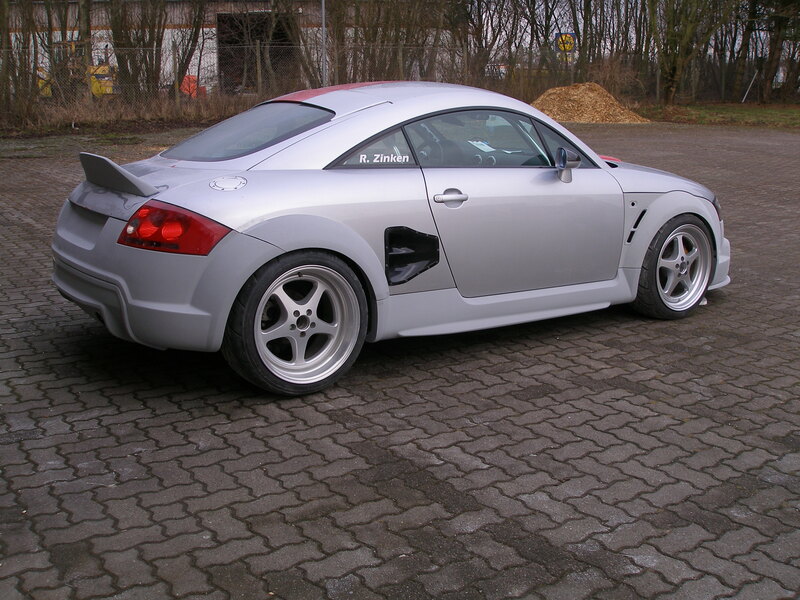 Although I’m not a Photoshop specialist, it helps to have an idea of what the car will look like once painted. 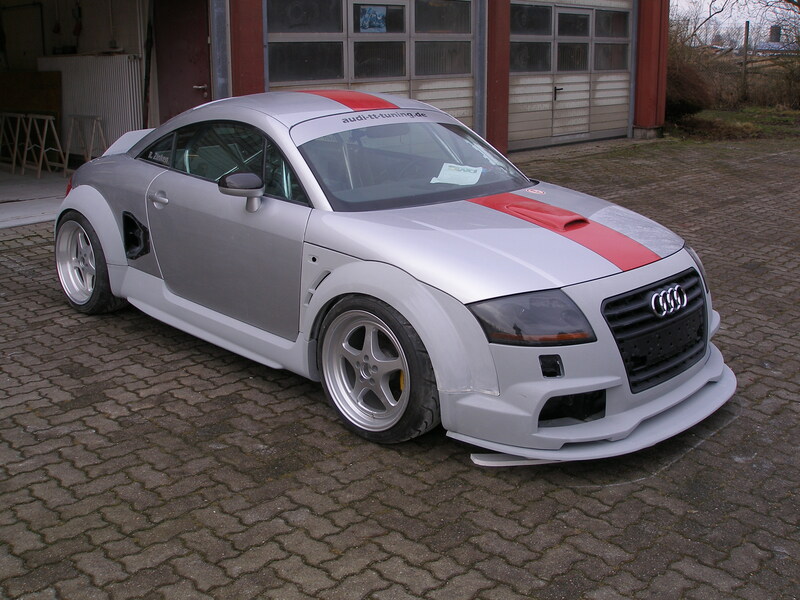 This entry was posted in Audi TT MK1 and tagged DMC, DMC Widebody Kit. Bookmark the permalink. terrible…just terrible. what’s wrong with you? 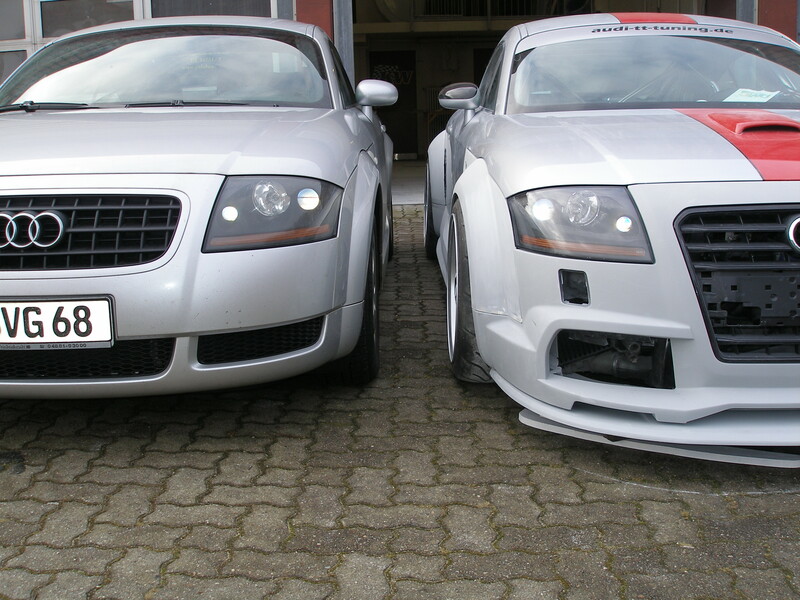 the front lower lip spoiler is too busy with what appear to be several ‘layers’ of ground effects – and the side ‘scoop’ behind the door doesn’t match the body’s lines and looks like an afterthought.. Audi did an awesome job with the original TT design, which is an awesome blend of sport and class – remember, sometimes less, is more.. I absolutely love the wide body kit. Would you mind talking with me about obtaining one? 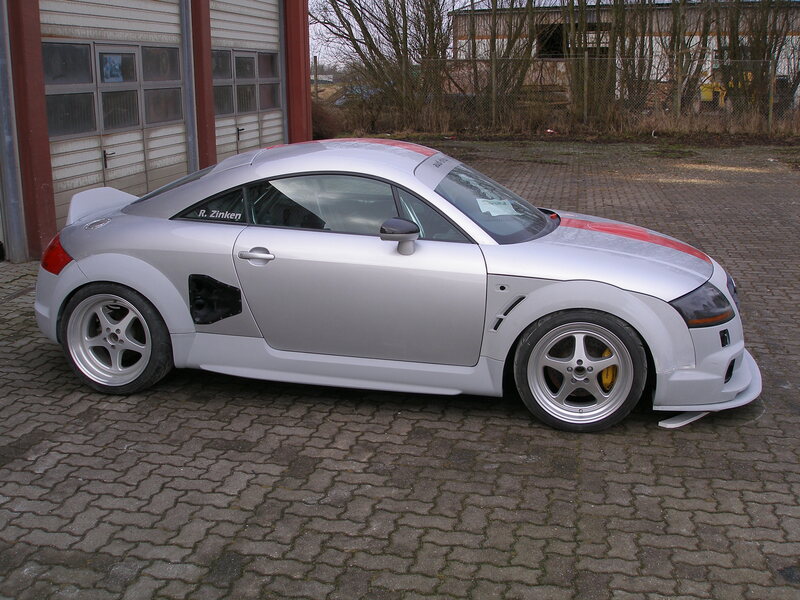 Andre you say one can purchase this body kit through you , so how the the kit cost ? And what is the phone number that I can call to order one. Hey Nathan, I already PM’d you wiht more info. Yes, I can get it for you. Is the DMC wide body kit for sale yet? And if so how much does the kit cost ? 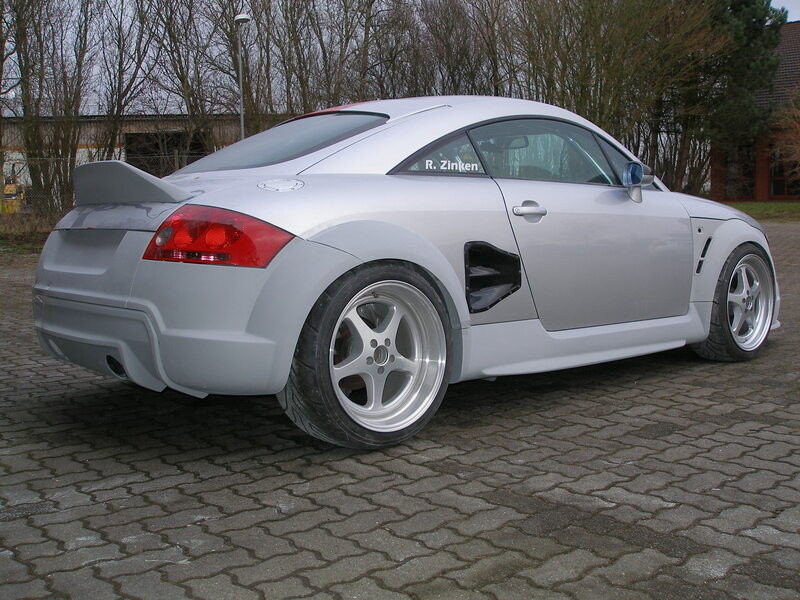 And where and what is the company or store called that I could possibly purchase this Audi tt wide body kit from ? Hi do you have any of these left?